applications from the app stores as of 2013 ). 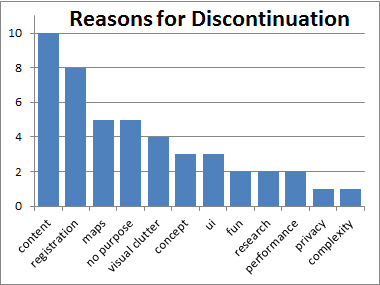 So far, motivations for using AR browsers and usage patterns have been widely underexplored. We therefore conducted one of the first studies investigating the adoption and motivations of real-world first generation AR browser users. The study combined an online survey of AR browser users with an analysis of app market data. We found that while the usage of Augmented Reality browsers is often driven by their novelty factor, a substantial number of long-term users exist. The analysis of quantitative and qualitative data showed that poor and sparse content, the user interface design or the system performances are major elements inhibiting the long-term usage of this technology by early adopters. An Augmented Reality browser showing precisely registered labels. Indications for AR browser not being used due to social aspects. Reasons for stopping the usage of AR browsers. 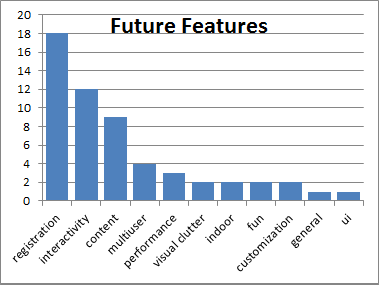 Features requested for future generation AR browsers. Jens Grubert, Tobias Langlotz and Raphael Grasset. Augmented Reality Browser Survey. Institute for Computer Graphics and Vision, University of Technology Graz. Technical Report Number 1101, 2011. Tobias Langlotz, Jens Grubert, and Raphael Grasset. 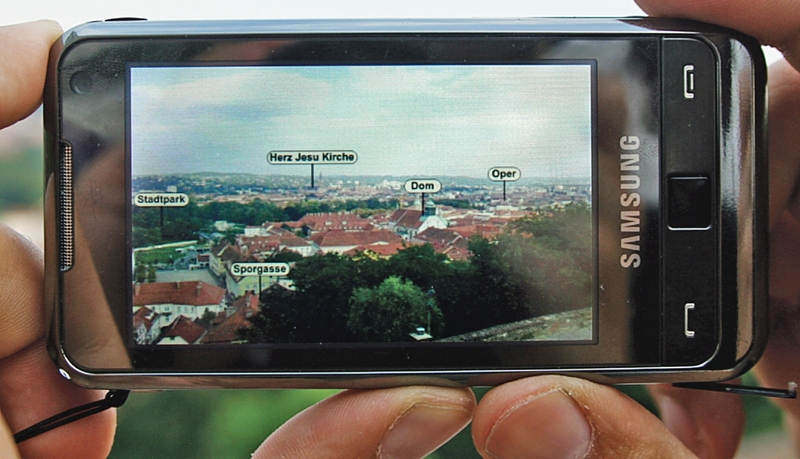 Augmented Reality Browsers: Essential Products or Only Gadgets?. Commun. ACM 56, 11, (pp. 34-36). November 2013.